Oskar Blues for Beer Thurs+Weekend Wines+Deep Bay Canned Cocktails Fri & Jackalope Sat! Oskar Blues for Beer Thurs+Weekend Wines+Deep Bay Canned Cocktails Fri & Jackalope Sat! Oskar Blues Brewery Tasting Bar Takeover for Beer Thursday! For Beer Thursday this week, we are excited to have the folks from Oskar Blues in the store to taste you through their beers. 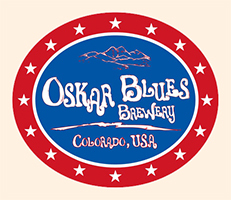 In 1999 we started brewing beer in the basement of our funky little Oskar Blues Grill & Brew in Lyons, CO before moving to the tin shed 20 feet away. As the Canned Beer Apocalypse kept growing we added a bigger tin box a few miles down the street in Longmont in 2008. Back then we had a batting cage, basketball court, ramps, skateboards, bikes and enough room to chuck the football & Frisbee right over our small canning line. Today that baby is plum full pumping out the best damn craft beer we can & the Tasty Weasel Taproom is running daily tours, live music, SKEE ball leagues & tapping specialty firkins & brews week after week. A blend of Corvina 50%, Trebbiano di Lugana 25%, Syrah 15%, Carmenère 10%. The Corvina varietal dominates in terms of percentage for the floral aroma it gives the wine as well as guaranteeing significant acidity. Trebbiano brings elegance and a long aftertaste; Syrah gives fine fruit and spice notes to the glass and finally, Carmenère creates structure, ensuring stability over time. This wine is a blend of 60% Terret and 40% Vermentino. 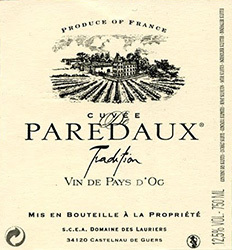 It has a lovely bright pale golden color with a young and powerful nose of white fruit aromas. It is aromatic on the palate displaying fresh and fruity flavors. Pascal Janvier Coteaux du Loire Rouge "Cuvee du Rosier"
The French drink a light-bodied red of this kind with an assiette de charcuteries (plate of cold cuts). Its intriguing, brambly berry character refreshes even more with a slight chill. Aromas of vanilla, cassis and menthol lift from the glass. On the palette an array of red and dark berries are met with a medium bodied, silky finish. 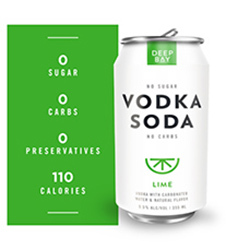 Friday Tasting with Deep Bay Canned Cocktails! 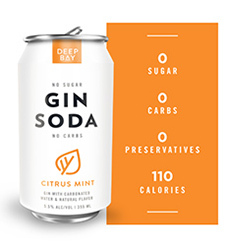 This Friday from 4-7p, we will have a Free In-Store Tasting with the folks from Deep Bay! They will be here to run you through their line-up of delicious canned cocktails! Stop in between 4 & 7 pm Friday afternoon to taste some delicious, guilt-free, summer friendly cocktails! This Saturday, we will be serving up delicious brews from one of our local favorites, Jackalope Brewing Company! We will have Amanda Crisp here to tell you all about their beer and also about their new taproom "The Ranch" in the Wedgewood-Houston area! 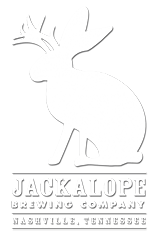 Jackalope Brewing Company was founded by Bailey Spaulding and Robyn Virball. They were joined by their friend Steve Wright at end of 2010. He started out as Jackalope’s biggest fan, parlayed that into being the very first Jackalope intern, and is now a full on partner inJackalope. Everyone agreed that they wanted to start a craft brewery that was an active member of the community and put out delicious, creative beers. We opened our doors on May 21st, 2011, and our growing team has been working nonstop to accomplish those goals. Jackalope gets its name for a couple of reasons, but it mostly comes down to Bailey’s fascination with this creature which she used to believe actually existed. She was given a tee-shirt once with a picture of a Jackalope that said “Believe in Yourself”. Cheesy? Yes. But also our unofficial motto. Believe in yourself. Believe in great beer. Stop in between 2 & 6pm and find your favorite!